The new displays will demonstrate how the collection has been transformed since Tate Modern first opened. The world’s most popular gallery of modern art will be even more international, diverse and engaging, with works by over 300 artists from around the world displayed across the existing Boiler House and the new Switch House – the most important new cultural building in Britain for almost 20 years. Old friends and new friends will be brought together, with works by Mark Rothko, Agnes Martin and Henri Matisse joining new acquisitions from Latin America, Africa, Asia, the Middle East and Eastern Europe, including Meschac Gaba, Sheela Gowda and Cildo Meireles. The most recent work to join the collection will take centre stage in the Turbine Hall: a huge sculpture of a tree almost seven metres tall, created by acclaimed artist Ai Weiwei. The new Tate Modern will open with three weeks of live art. This free programme, part of the ongoing BMW Tate Live partnership, will include performance-based works from Tate’s collection staged intermittently throughout the building, from Tania Bruguera’s police on horseback, to Tino Sehgal’s gallery attendants bursting into song and Amalia Pica’s actors holding up a string of bunting. The Tanks – the world’s first museum spaces dedicated to live art – will also host new performance commissions running every day from 17 June to 3 July 2016, highlighting the place of live art in the 21st century museum. To celebrate the new Tate Modern, the gallery will stay open until 22:00 each evening for an opening weekend of special events, supported by Uniqlo. The centrepiece of the weekend will be a specially-commissioned choral work by artist Peter Liversidge, performed at 17:00 on Saturday 18 June by over 500 singers from community choirs across London. This cycle of songs was inspired by conversations the artist held with gallery staff, construction workers, visitors and local residents. Free screenings of film and video works from Tate’s collection by artists including Derek Jarman, Andrea Fraser and Rabih Mroue will be held throughout each day in the newly refurbished Starr Cinema, while special events for young people and families will take place across the weekend. 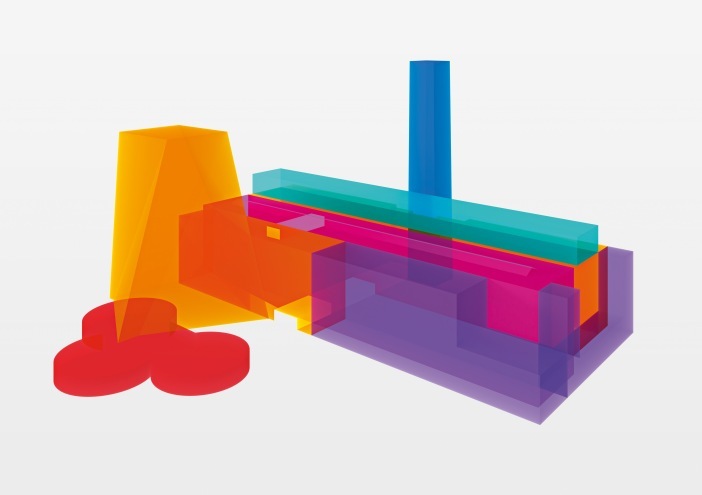 Digital technologies will be more fully integrated into the experience of Tate Modern than ever before, through an expansion of the Bloomberg Connects initiative. In partnership with Bloomberg Philanthropies, Tate will launch an innovative new app and create new interactive galleries and content sharing tools to expand the museum’s collection to wider audiences. One of the most exciting developments of the new Tate Modern will be the launch of an ambitious ‘open experiment’ called Tate Exchange. Occupying an entire floor of the new Switch House building, it will invite over 50 organisations to participate in Tate Modern’s creative process for the very first time, running events and projects on site and using art as a way of addressing wider issues in the world around us. The programme will bring together artists such as Guerrilla Girls and Tim Etchells alongside charities, community radio stations, universities and healthcare trusts. 3,000 school children from across the UK, from Orkney to St Ives, will be the first members of the public to see the new Tate Modern at a special preview on Thursday 16 June 2016. Welcomed by artist Bob and Roberta Smith, these children will get an exclusive opportunity to explore the new displays and the new building, and be inspired by modern and contemporary art from around the world.